The deceit has be wrought. 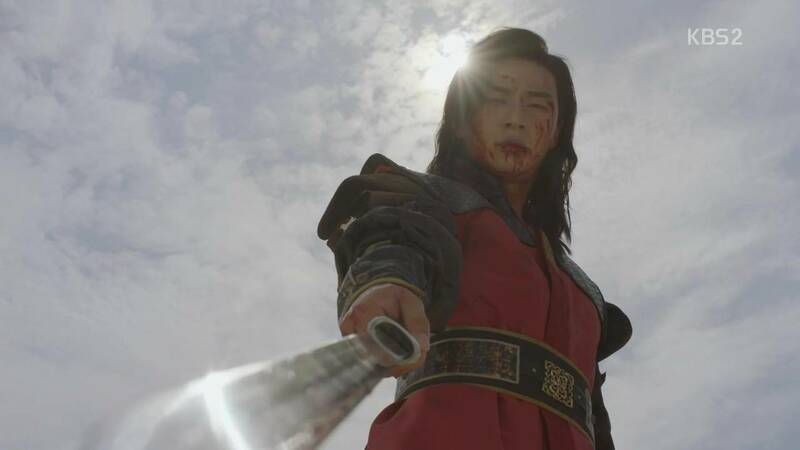 Crown Prince Chang of Baekje believe Seon-woo to be king and the battle is fought to determine whether Baekje and Silla forge an alliance or go to war. Ji-dwi watches with frustration, shame, and a feeling of helplessness. It's interesting that Seon-woo forges one of King Jinheung's historically significant ties rather than Jinheung himself. Also, Minister Young-shil seems to be pulling some pretty significant strings and there has been little counter to his efforts, which is surprising. The pro-royalty efforts are minimal and I'm not quite sure why. It makes Young-shil's insidious battle seems a little silly. 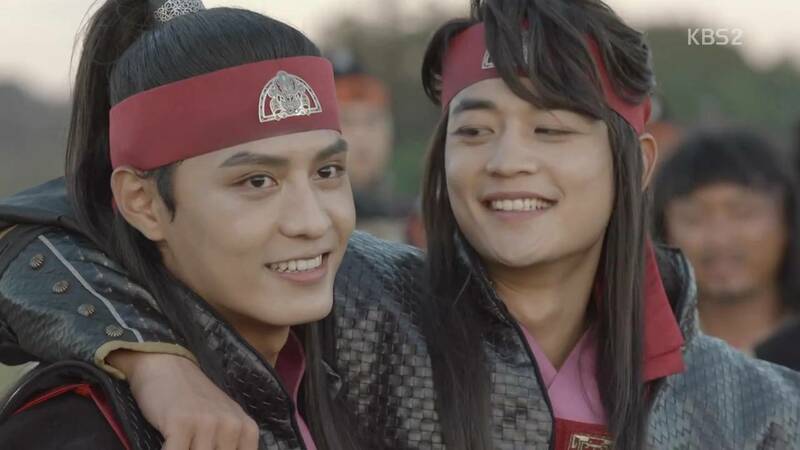 The hwarang also step into their roles as defenders of Silla this episode as they rise to help the four ambassador hwarang who are harassed by Crown Prince Chang. I would've preferred to see them come into the picture earlier rather than seen Seon-woo battle Chang for so long. The collective story of these young men is incredibly interesting and I'd like to learn more about that rather than a lackluster hero and his volatile love story. As "Hwarang" dives into the historic aspect of the young men, the story gains momentum. Tapping into its sageuk roots is making it strong.